"Search Sciences takes the headache out of linking . . . it is exciting to see the content appear with links back to our site." Arguably one of the most challenging parts of any linking campaign is building good quality inbound links. For some clients, this is further compounded by the absence of any level of control over their own sites, whether as a result of corporate restrictions, lack of technology staff or indeed because the site is provided and controlled by a third party -- a situation that is becoming ever more common with so-called "white label" sites. New sites and sites that cannot boast strong existing rankings in the search engines also struggle to attract good calibre links - a "chicken and egg scenario" is all too commonplace wherein third party sites, when asked for a relevant link exchange, will veto it on the basis of poor existing rankings. So, short of buying links which is (correctly in our opinion) strongly penalised by the search engines, how can you get there? Here you have two parties, one desiring a link and the other (as with almost all sites) always keen to add fresh, relevant, unique content. Simply put, the site looking to attract relevant links offers a potential link partner the option of a content piece of a decent length on a subject relevant to both sites. This content piece includes a single relevant text link back to the site in question. This way, once the partner has published the content, the partner benefits from some free, unique and relevant content and the requesting site gets a hard-to-get relevant inbound link. Perhaps most importantly, the link is located on a genuine content page rather than a links page or directory (both of which appear to be gradually reducing in value to the search engines). Because this approach is relatively new, potential link partners require a clear yet succinct explanation as to the approach and its inherent benefits. Once agreed, the content must be produced within a relatively short space of time (link partners have a short attention span) and promptly issued to the link partner. It then requires tracking to ensure that the link partner indeed publishes it (with the text link intact!). Because many link partners will, by definition, be creating a new page to house the content, the requesting site must also check to ensure that the new page is properly linked within the link partner's site, with a traceable path from the home page. Thankfully, link partners are of course motivated to ensure that the content is properly visible to the search engines in extracting maximum benefit from it but all of this nonetheless requires considerable resource from the requesting site. The Search Sciences LMS link management system supports content-for-link trading or Hosted Web Content as it is also known in the search engine management industry. This is possible only because LMS is deeply integrated with our global CMS content management System and BMS brief management systems, used in all of our content production offerings. 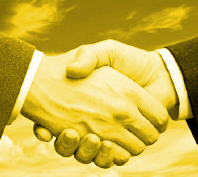 As part of a linking campaign we are thus able to accurately and effectively offer third parties the option of a content-for-link trade and, on receipt of a positive response, we can efficiently request and manage the research and production of this content and send it to the partner for publishing as soon as it is ready. As with all LMS links, we then track the publishing of the content to ensure it goes live with the link correctly in place, with the right anchor text and on a page that is properly linked within the link partner's site. We can also run content-for-links ONLY campaigns for those clients who do not have the ability to publish on-site links as part of a wider linking campaign.